How to use the Adafruit Pi Finder to connect to your Raspberry Pi on your network. If you have ever tried to connect to your headless Raspberry Pi over a network via SSH, you know that it can be hard to find the IP address. We created a cross-platform tool that allows you to easily find and connect to a Raspberry Pi that is attached to your network via Ethernet or WiFi. The Adafruit Pi Finder also allows you to launch a bootstrap process on your Pi that will install services such as Bonjour/Zeroconf, samba, and also help you setup WiFi modules and the Raspberry Pi's hostname. Note: This project shares a coincidental name with the Pi Finder by Ivan X, a great Mac OS X utility that also helps locate a headless Raspberry Pi on your local network. Please visit Ivan's site for the other Pi Finder and other fine Raspberry Pi tutorials and projects! The first step before beginning with this project is to make sure that you have installed the latest version of Raspbian on your Raspberry Pi's SD card. If you need help copying Raspbian to your SD card, visit our great SD card setup guide. Next, you will need to connect your Raspberry Pi to power and to your network via ethernet. 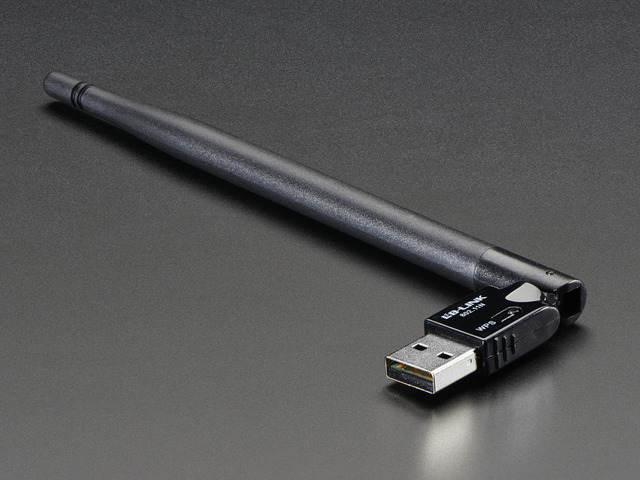 At this time you can also connect any WiFi USB dongles you may have as well. The Pi Finder can help you set up WiFi during the bootstrap process. 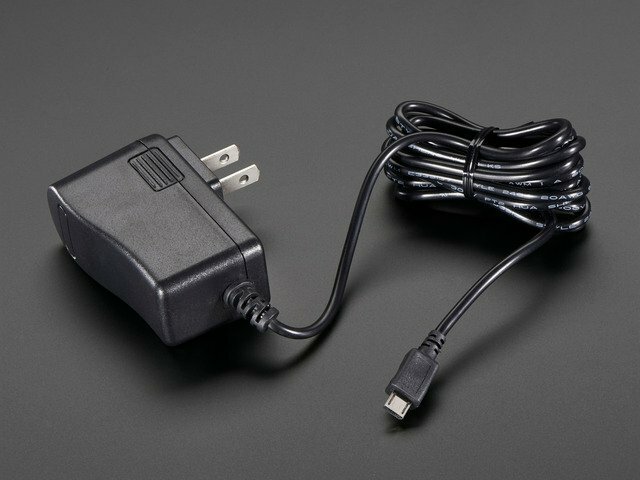 Next we will look at the Adafruit Pi Finder utility and attempt to connect to the Pi. Next, you will need to download the latest release of the Adafruit Pi Finder utility. It is a cross platform utility, and downloads are available for Windows, OS X, and Linux. Click the link below to download the latest release for your operating system, and extract the archive once it has finished downloading. Open the extracted folder, and launch the executable for your operating system. The Pi Finder will launch with a window like the one shown below. Click the Find My Pi! button to start the search process. The Pi Finder will begin searching for your Pi. Once it has located your Pi, it will display a menu like the one shown below. The default settings will work for a fresh Raspbian install. If your Pi has been previously configured, you can change the SSH user and password. Click the Terminal button to connect to your Pi. A SSH connection will be started, and you will be able to use it like any other SSH client. Next we will look at bootstrapping your Raspberry Pi with a few helpful tools. If you would like to bootstrap your Raspberry Pi, and configure things like WiFi and the hostname, you can use our Pi Finder to do that as well. If you would like to setup WiFi and the hostname for your Pi, you can use the text inputs on the right side of the utility to set them. 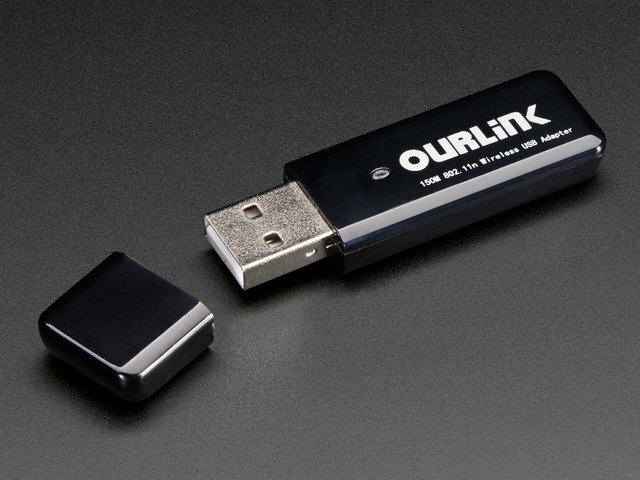 Make sure you have your WiFi USB dongle installed before starting the bootstrap process. We have only tested this utility with the WiFi modules available in the Adafruit shop. Once you have finished configuring the hostname and WiFi settings, you can start the bootstrap process by clicking the Bootstrap! button. A window like the one below will be shown once the bootstrap process has started. You can view a list of the software the boostrap process installs by visiting the GitHub repo for the project. It will take a few minutes to finish the bootstrap process, and the time will vary depending on the speed of your internet connection. You will see quite a bit of text fly by like the image shown below. Please be patient, the process will be finished soon! Once the process has finished, you will be returned to the Pi Finder window. You can launch a terminal connection to your Pi, or close the Pi finder if you are finished using the utility. You can use the utility to shut down the Pi and remove it from the ethernet connection if you would now like to connect to the Pi via WiFi. You can use the Pi Finder to find and connect to the Pi over WiFi once it has restarted. Please let us know if you have any issues with the process by leaving feedback! This guide was first published on Apr 08, 2015. It was last updated on Apr 08, 2015.